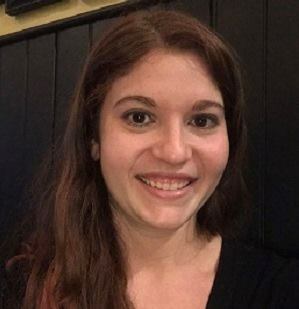 Dana Meshil, LMHC, R-DMT, graduated with a Masters of Arts in Mental Health Counseling with a specialization in Dance/ Movement Therapy from Lesley University and a Bachelors Degree in Psychology with a certificate in Dance/ Movement Therapy from the University of Wisconsin-Madison. Dana is a Licensed Mental Health Counselor and Registered Dance/ Movement Therapist with experience providing individual and group therapy for people of all ages, from toddlers to the elderly with various emotional and behavioral needs. She has extensive experience working with children and adolescents struggling with depression, anxiety, mood lability, Autism Spectrum Disorder, grief/ loss, LGBTQIA+, self-esteem issues, and self-harming behaviors. She incorporates elements of Expressive Therapy, Dialectical Behavioral Therapy, Cognitive Behavioral Therapy, and Psychoeducation into a client- centered approach focused on each individual’s needs. Dana is a compassionate, holistic therapist that utilizes the mind/ body connection to empower others towards creating positive and lasting change. Insurances Accepted: Allways, Blue Cross Blue Shield, Beacon Health Options, Cigna, Harvard Pilgrim, Optum, Tufts Health Direct, Tufts Health Unify, Tufts Health Together, United Behavioral Health, United Healthcare, and Unicare. Dana ​also accepts self-pay clients.